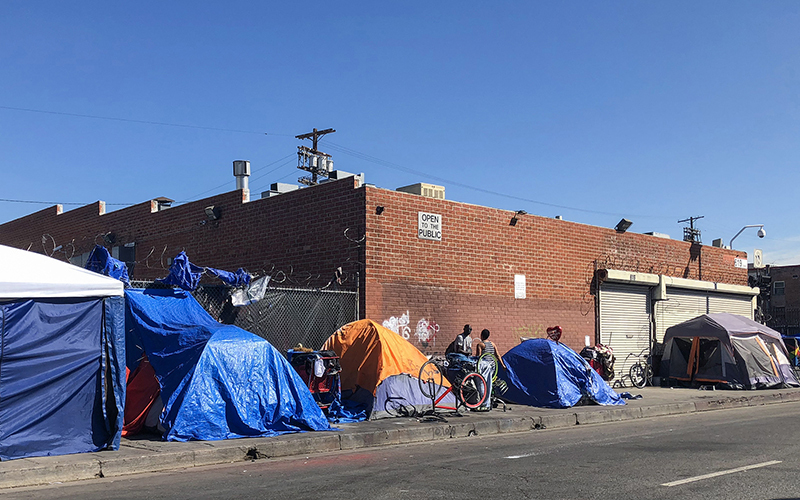 LOS ANGELES – Several mayors from across the country – including Los Angeles, Phoenix and Mesa – have joined a coalition to find solutions to the lack of affordable housing in their cities. From 2015 to 2017, Maricopa County saw a 59 percent increase in the number of people living unsheltered, according to the city of Phoenix. That accounts for 70 percent of the state’s homeless population, according to Phoenix Rescue Mission. The average rent for an apartment in Phoenix is $935, a 5 percent increase compared with last year, according to RentCafe. Rising housing costs and the shutdown of an overflow shelter for men have contributed to an increase in the number of people living on the streets in Maricopa County, experts told Cronkite News. There aren’t enough beds in the remaining shelters. For example, the 470 beds at Central Arizona Shelter Services in downtown Phoenix are filled most nights of the year, Mary Glennon, a program manager at CASS, told Cronkite News earlier this year. The Rev. 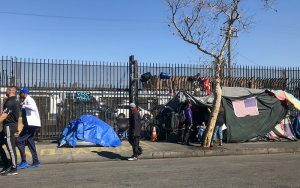 Andy Bales of Union Rescue Mission in LA said he’s frustrated that local authorities have done so little to deal with affordable housing and homelessness. The mission is the oldest and largest private homeless shelter in the country. “Skid row is the worst man-made disaster in the U.S., and it’s going to take a lot of work to turn it around,” Bales said, referring to a dilapidated 54-block area of downtown Los Angeles. “We’ve got to not only get people off the streets … but we also have to create innovative affordable smaller units that people with low income can actually afford to live in,” Bales said.